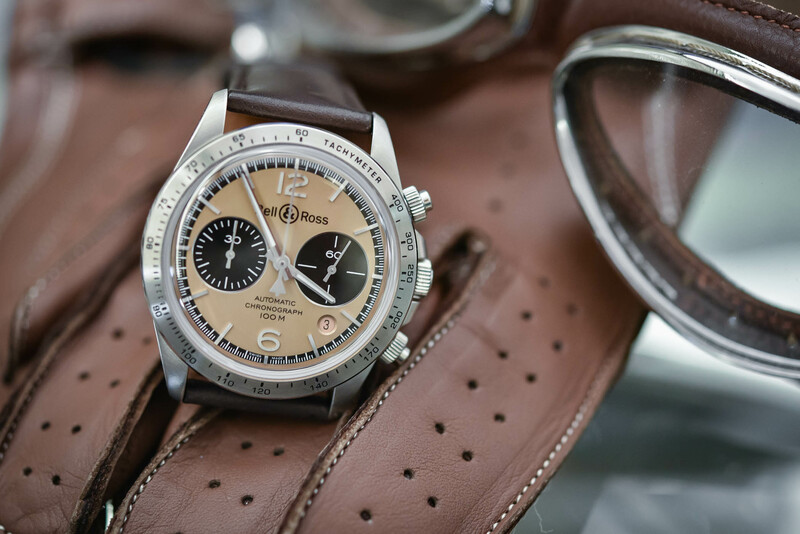 In recent years, Bell & Ross has expanded its collections considerably, and are no longer exclusively focused on the military-inspired pieces of their past, which had been based upon the themes of Air, Marine or Racing. 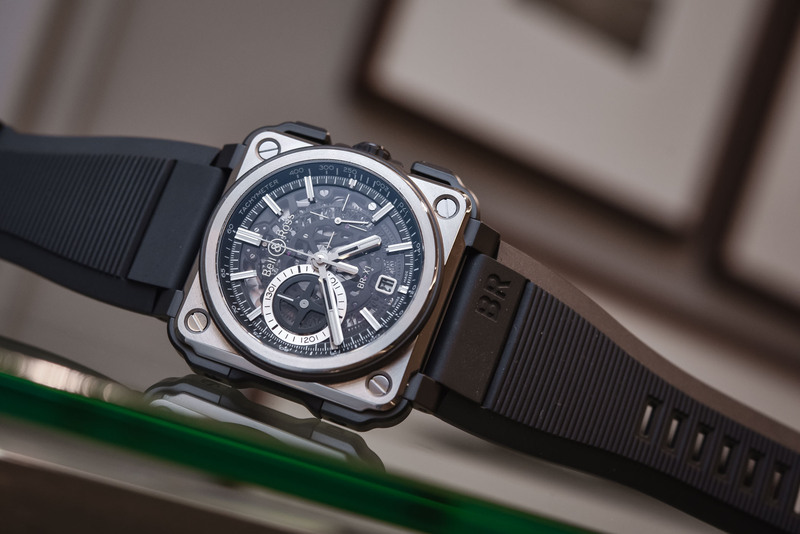 The latter has been widely used in the most recent collections, with watches inspired by Formula 1 (B&R is a partner of Renault F1) or specifically designed sports-cars. Today, the Parisian brand creates another speed-inspired piece, with original retro influences. Here are the Bell & Ross Vintage BR V1-92 and BR V2-94 Bellytanker. 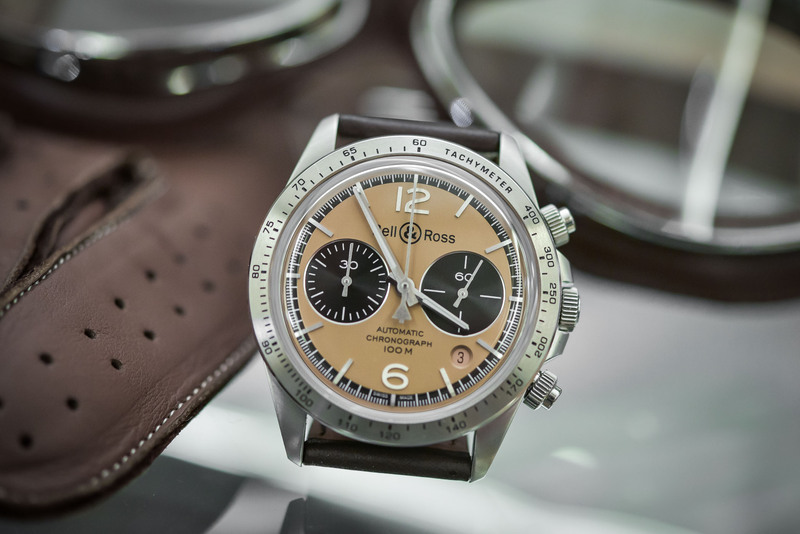 While flight-inspired watches have aways been a cornerstone in Bell & Ross’ collections, with the iconic BR-01 model (a square case with round dial inspired by jet planes dashboard instruments) and other military-inspired pieces, speed, in general, has always been a source of inspiration for the brand. This theme led to the creation of two bold collections: the B-Rocket and the Aero-GT. Surprisingly, both are shaped after imaginary creations – and not existing references, such as a partnership with an established brand. 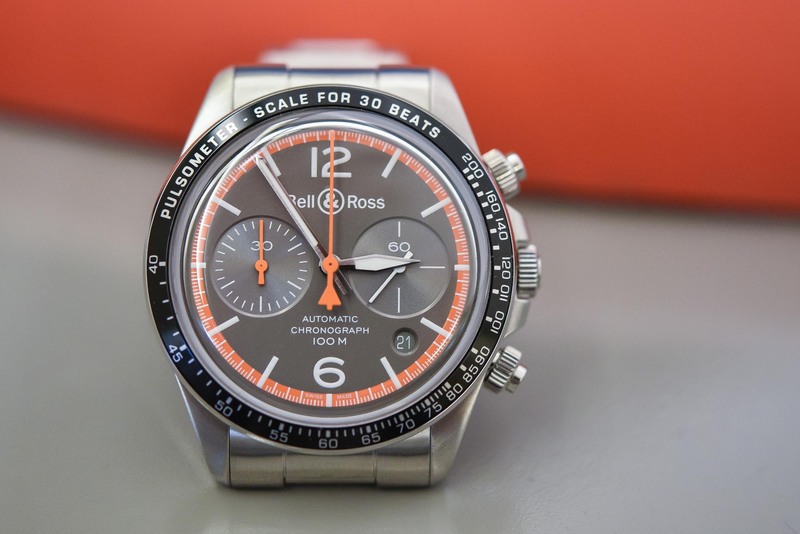 Not only did Bell & Ross design the watches but also the machines that inspired them. The B-Rocket watches were designed alongside a retro-futuristic motorbike concept, inspired by the American aviation of the 1950s and 1960s, while the Aero-GT, on the other hand, was designed together with a futuristic concept car. 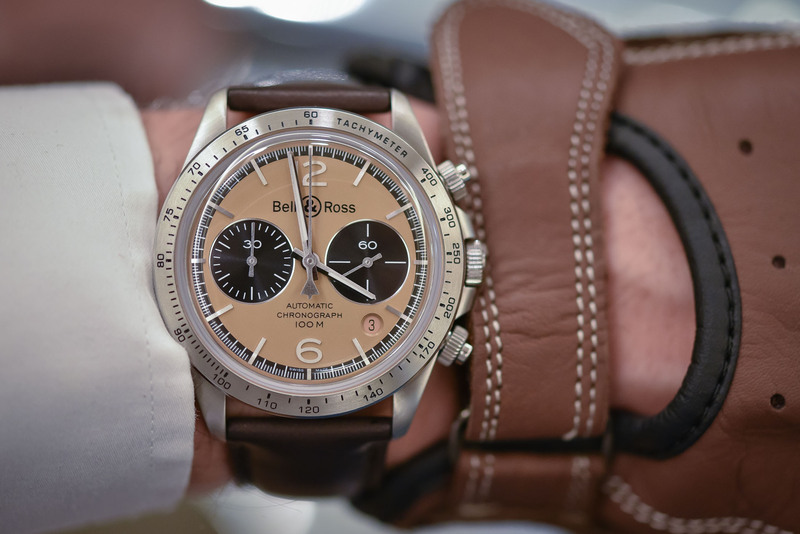 Clearly an original creation process, quite unique in the watch industry, and that is today back on stage, with the Bell & Ross Vintage Bellytanker Collection. The name “Bellytanker” refers to a post-WWII practice. At first, bellytanker was the name given to an emergency drop tank fitted in the belly of fighter planes. Once the Second World War ended, this word took on another meaning as it became a nickname for the high-speed race cars manufactured directly from these spare tanks. 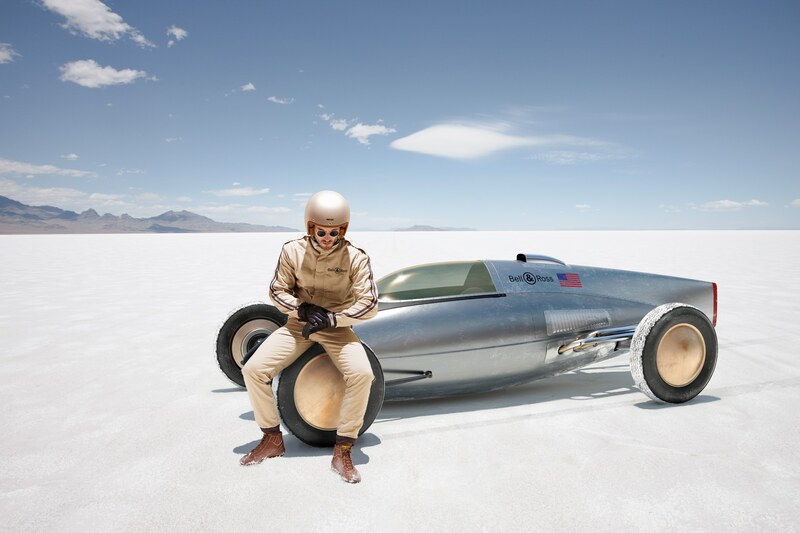 A certain Bill Burke, an American speed freak, wanted to build an ultra-fast car to take part in the races being held on the salt flats (a popular practice back in the 1940s and 1950s). Having fought in the South Pacific during WWII, he imagined using the aerodynamically-shaped fighter plane drop tanks to conceive the bodywork of his speed machine. This idea proved efficient, as their droplet shape ensured exceptional performance. In 1946, he bought a drop tank from a North American P-51 Mustang for $35 – at the end of the war, many military components were sold off cheap. He used it to build a bright yellow mini hot-rod. He fitted the tank that formed the bodywork, on a chassis, and powered it with a powerful V8 engine. The result was a fast machine. In 2017, Bell & Ross uses this historical practice to conceive its own – imaginary – “Bellytanker“. As basically wheels affixed to a jet fighter part, it even makes sense considering the roots of the brand. Made out of metal, curved glass and with copper-coloured details, it gives echo to the watch collection that has been designed after it, the Bell & Ross Vintage Bellytanker. With such an inspiration in mind, the choice of the collection to do it with was not that complex at Bell & Ross: the recently updated Vintage line was clearly the most appropriate. 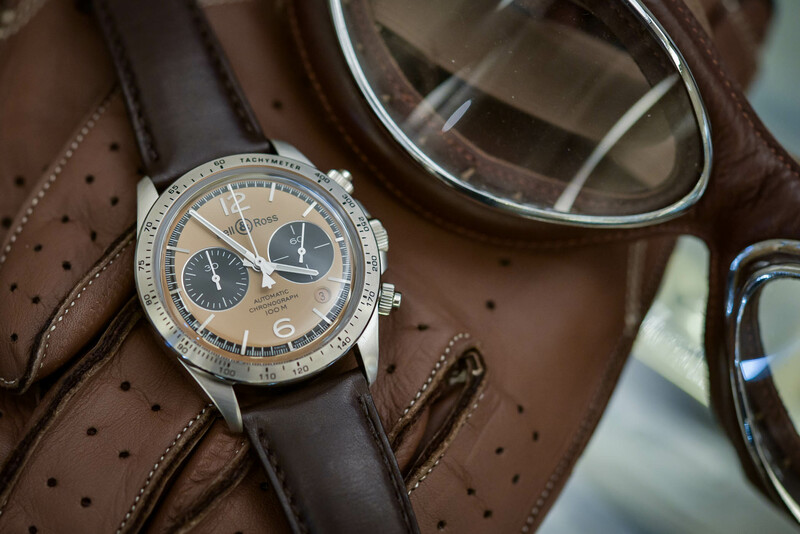 The Bellytanker comprises two watches, the Bell & Ross Vintage BR V1-92 and the BR V2-94 Bellytanker – one time-and-date and one chronograph, certainly a must-have for a speed-inspired collection. Both watches use the greatly redesigned Vintage cases, introduced at Baselworld 2017. Slimmer, more elegantly shaped thanks to shorter lugs and more curved lines, and more toolish too in the decoration and mainly smaller than the previous VIntage collection, these new iterations were welcomed by collectors. 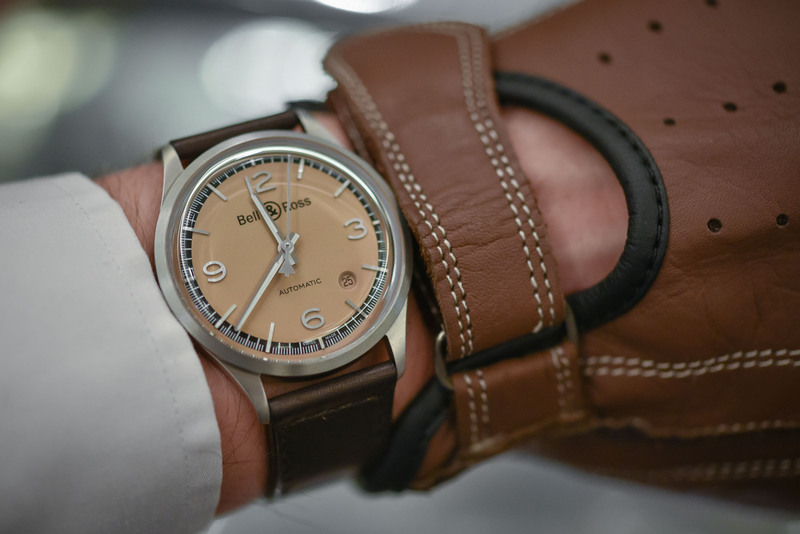 The first of the two watches, the Bell & Ross Vintage BR V1-92 Bellytanker is a simple, inconspicuous watch with a restrained 38.5mm case, a smooth and fixed bezel (no rotatable bezel or any kind of scale) and the essential functions: hours, minutes, seconds and date (a discreet date placed at 4:30 in a small circular window and with a disc matching the dial). The watch has a clear 1950s inspiration, with its small diameter, its sleek case and the highly domed sapphire crystal on top. There’s nothing too fancy overall, but a very pleasant utilitarian feel. Powered by an automatic movement, the calibre BR-CAL.302 (a Swiss-made Sellita SW300-1), it will offer reliability, good precision and optimized legibility. This Bell & Ross Vintage BR V1-92 Bellytanker is available with a vintage-inspired dark brown leather strap. 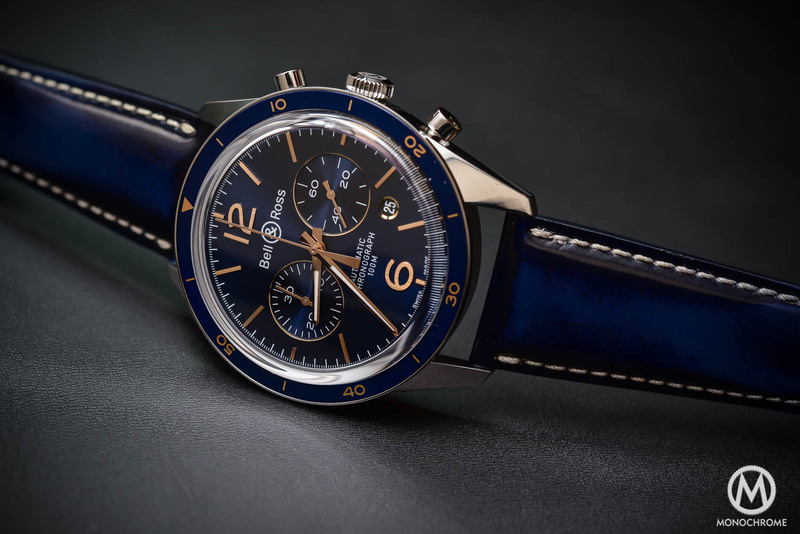 The second watch of this new collection is the Bell & Ross Vintage BR V2-94 Bellytanker, this time a more complex and sportier edition, with chronograph function. Yet, just like the rest of the Vintage collection, this watch has been thoroughly redesigned with a smaller diameter (41mm vs. 43mm), more curved shapes (especially for the lugs, which better adapt to smaller wrists), a highly domed sapphire crystal and overall, more elegance. The steel case adopts here a fixed bezel with tachymeter scale – speed inspiration obliges – and screwed pushers to guarantee a 100m water resistance (maybe not the most elegant option… simple mushroom pushers could maybe give a more vintage style). Inside the case and under a specifically decorated caseback is an automatic chronograph movement, with an appropriate bi-compax layout. The calibre BR-CAL.301 is based on the solid and tested ETA 2894-2, and if offers a small second, a 30-minute counter, a date (again discreetly placed at 4:30), as well as a 4Hz frequency and 42h power reserve. 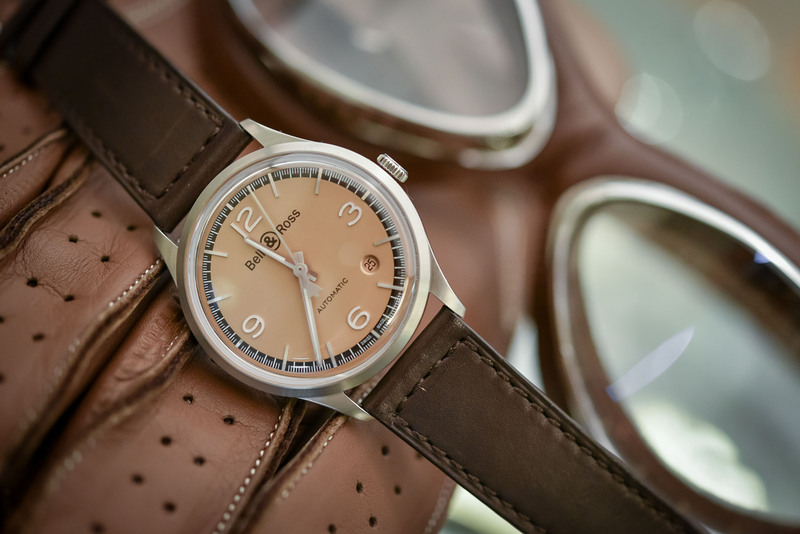 This Bell & Ross Vintage BR V2-94 Bellytanker is available in 2 versions, one with brown leather strap, the other with the metallic bracelet. 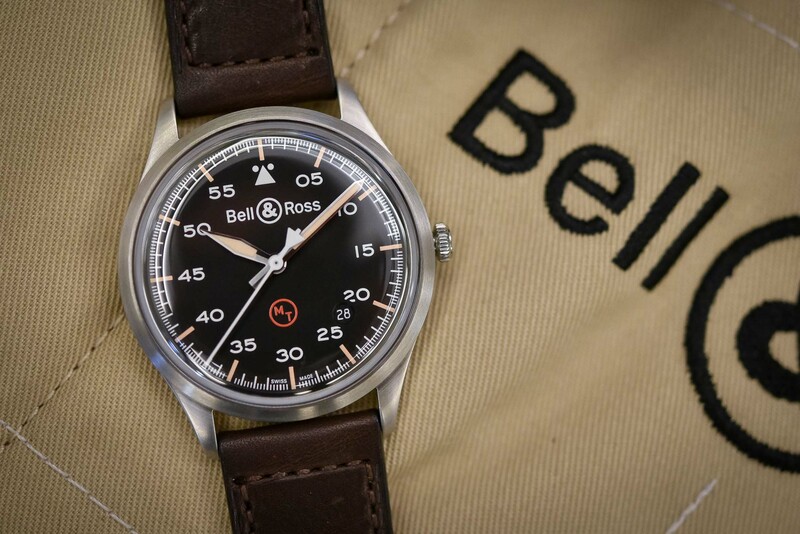 Of course, the main specificity of these Bell & Ross Vintage Bellytanker watches is to be seen on the dial. Already existing in a classic black style as well as in a colourful coastguard edition, the Vintage collection is now updated with a gilt metallic copper dial, with a black minute track on the periphery – as well as black sub-counters on the chronograph version. 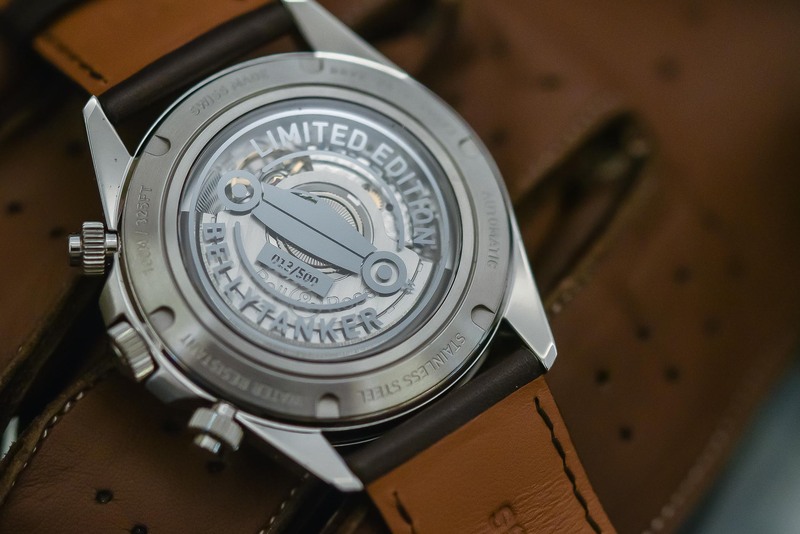 Nice touches are visible in both versions, such as the brushed applied indexes and markers, the steel hands (with double finishing, once side being polished, the other being sandblasted) or the metallic ring surrounding the sub-dials of the chronograph version. The highly domed sapphire crystal offers nice reflections and slight distortions and the colour of these dials (quite difficult to catch with a camera) changes depending on the ambient light. 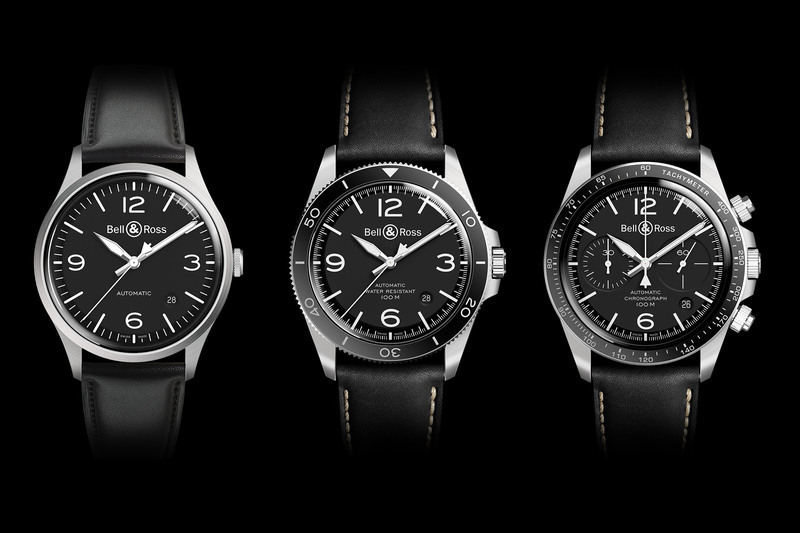 While there’s no debate anymore around the beauty of the new Vintage collection by Bell & Ross, these new Bellytanker versions add some charm and originality, for those who want something more or something different, compared to classical black dial versions. The copper colour makes them quite unique and truly vintage. 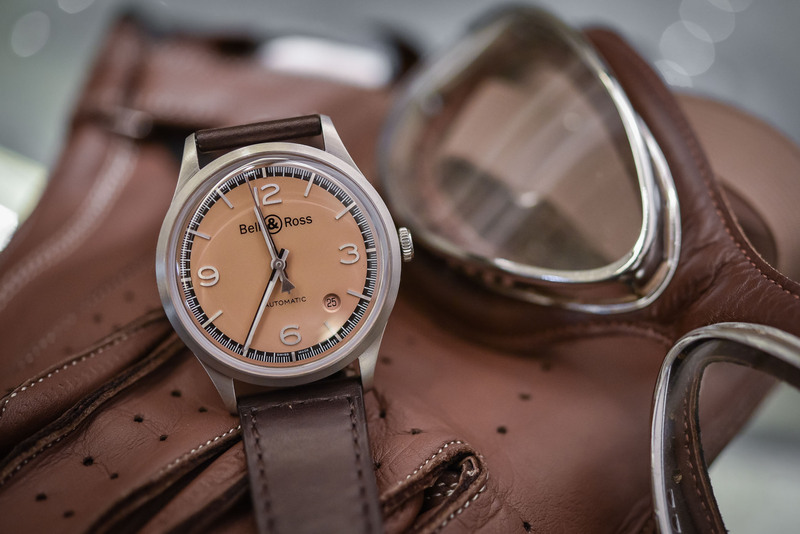 The Bell & Ross Vintage BR V1-92 Bellytanker is priced at 2,300 Euro and the Bell & Ross Vintage BR V2-94 Bellytanker is priced at 3,990 Euro on leather strap and 4,300 Euro on steel bracelet. Both are limited editions of 500 pieces. More details on the dedicated page on bellross.com. 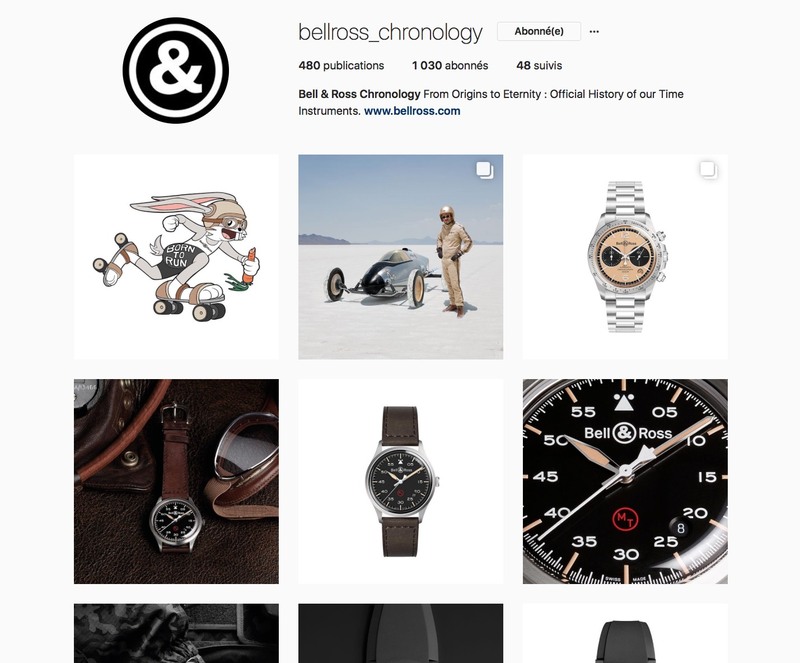 Recently, Bell & Ross just launched a new account to complement the usual @bellrosswatches account (which contains live images, reports, videos) with a new and quite pleasant account, @bellross_chronology (link here). This second is an historical catalogue retracing all the history and the models created by Bell & Ross; in order “to share the vision of Bell & Ross and its collections from a chronological point of view.” The iconography immerses followers into the world of Bell & Ross and the three areas dear to the brand: air, land and sea.